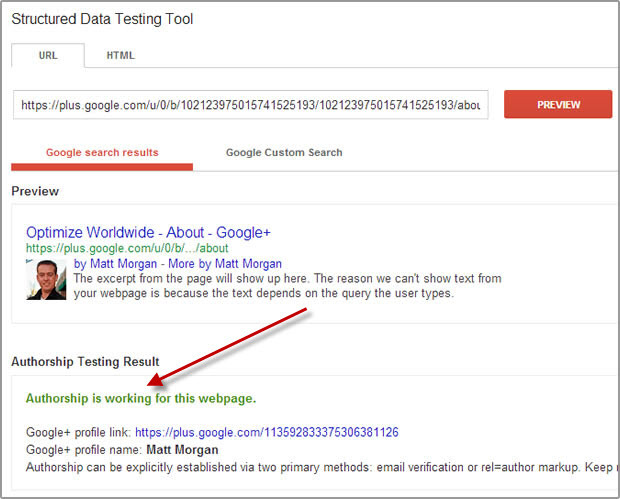 Experimenting with Google Authorship on Everything! 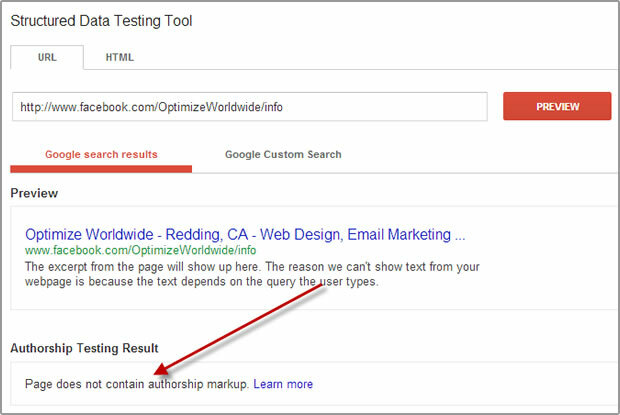 Google Authorship is one of my favorite features in the SERPs and is a great way to build up your Author Rank. Most bloggers and web admins claim authorship on their websites and the blogs they write, however, I wanted to see just how many different types of websites I could implement Google Authorship on…so I went on a mission. 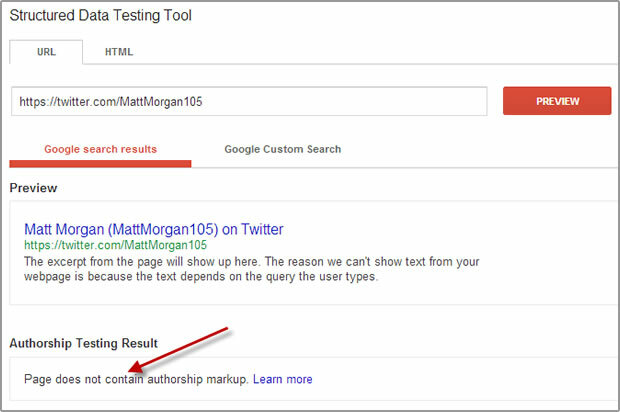 I wrote an article describing how to claim your content with Google Authorship for @BloggingBistro which included three different methods for linking back to your Google+ profile to complete the 2-way link authentication. It is important to include links to the sites you want to claim Authorship on in the Contributes to section of your Google+ profile. 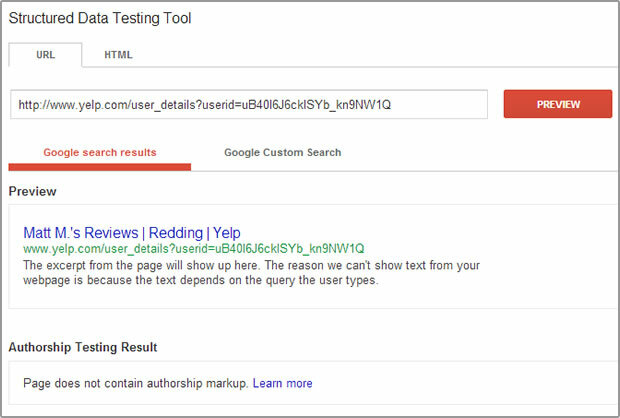 After I have included a link to my Google+ profile on these sites, I am validating Authorship using the Structured Data Testing Tool available in Google Webmaster Tools. 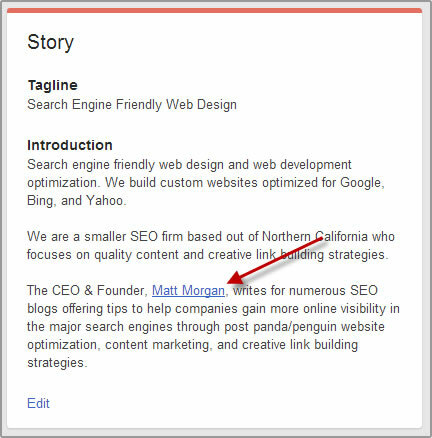 Google+ allows you to add links to the “Story” section of your company page. I’ve added a link to my Google+ profile in the About section of my Facebook page. No bueno. 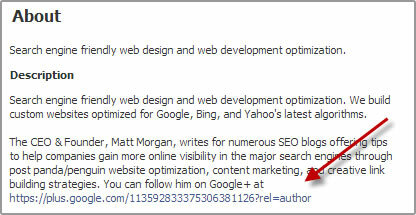 I also tried placing a link to my G+ profile in a Facebook post. 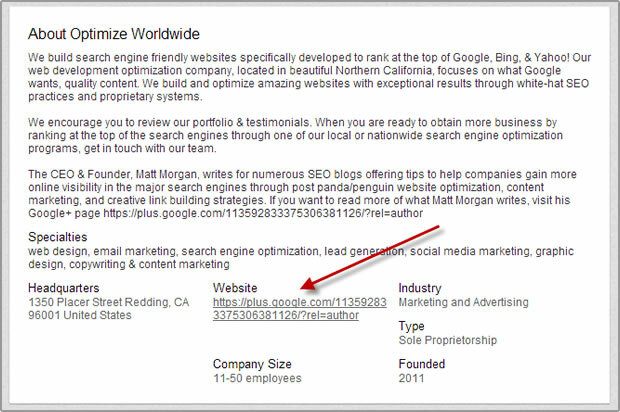 I tried putting my G+ link in the website field too with no luck. I’ve added a link in the Websites section of my LinkedIn profile. I tried adding a link to the About section, but it didn’t create a hyperlink. I then tried putting my G+ link in the company website field…No luck. I even tried posting the link as an update, but no luck either. I changed my website address to my G+ link, but it didn’t work. 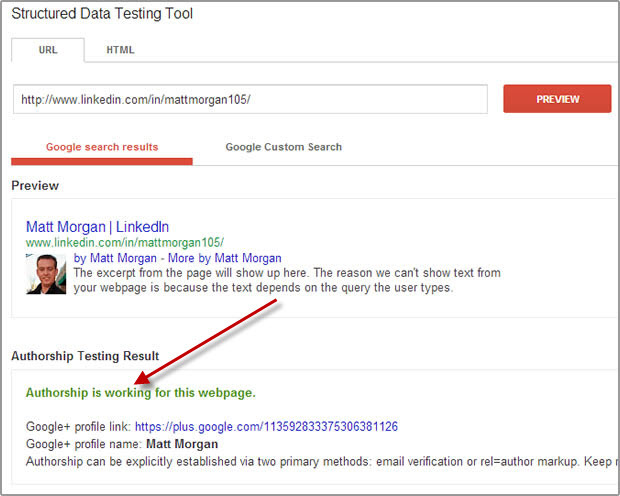 Placing a link to my G+ in my bio didn’t produce a link and wouldn’t authenticate. 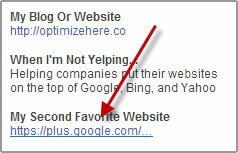 In Yelp, I tried placing my Google+ link in the My Second Favorite Website section…again, no luck. I created an event and included a link to my Google+ profile. Didn’t authenticate. 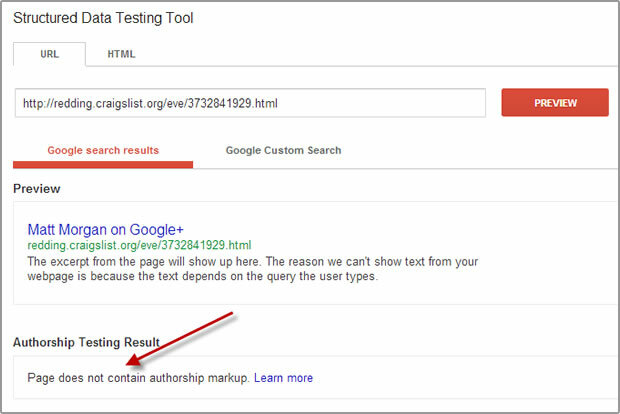 Adding Google Authorship is a fantastic search optimization strategy and has proven to increase click-through-rates (CTR) in the SERPs. Furthermore, Author Rank (or Agent Rank as filed by Google at the patent office) is on the verge of becoming a reality. It only makes sense that content published by an author with a higher level of quality or authority would get a boost in rankings. In my experiment, I only scratched the surface. I’d be curious to learn about additional websites that we can authenticate authorship on. If you have been successful in adding authorship on other types of sites, please tell us about it in the comments section below. 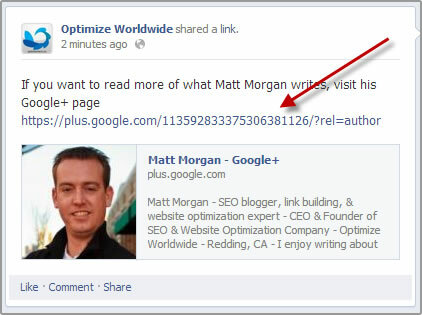 Matt Morgan is the founder and CEO of Optimize Worldwide. When he isn’t helping small businesses rank higher in the search engines, he’s either on a dual sport motorcycle adventure or hanging out with his wife Holly. Follow Matt on Twitter @MattMorgan105 to read more about what he writes and shares.